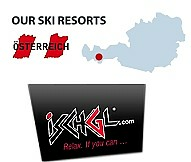 Enjoy Zell am See at its best! In this 4* design hotel you can relax in spacious, top modern rooms with a beautiful view over the lake. Well known and comfortable 4 star Hotel in the centre of Zell am See and close to the Zeller Cable Car with easy access to all amenities on and off the slopes - walking distance to everything Zell am See has to offer. This family-run 4* Hotel is in a very quiet and panoramic location overlooking Zell am See. 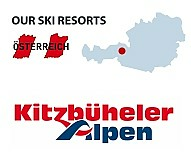 Situated next to the valley station of 2 cable car stations it is the perfect entrance to the skiing area of Zell am See. Hotel Latini offers an excellent level of service with easy access to the entire Zell am See ski area. This family-friendly hotel is situated peacefully in a marvellous mountain landscape only 250 meters from the cable car station City Express. Pension Gasthof Schuetthof is situated in the centre of Schuettdorf, Zell am See with the Areitbahn ski lift into the Schmittenhoehe ski area directly behind the house. 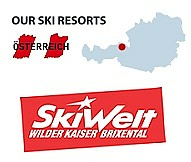 Centrally located in the heart of the scenic old town and the pedestrian area of Zell am See. Several bars, coffee shops and shopping possibilities are in front of the hotel. It takes only a 2 min walk to reach the lake and the cable-car "Cityexpress". Villa Klothilde is a well established Hotel Garni and is only a few minutes from the Zeller Cable Car and next to the Ebenberglift - situated in Skilift Street close to the centre of Zell am See. This hotel is situated in the pedestrian zone of Zell am See. 300 metres from the cable-car station City Express. 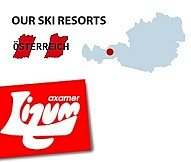 This hotel is situated above Zell am See center on the way to the Schmittenhöhe cable car. Ski in - ski out! Pension Hubertus is situated centrally yet quiet - directly opposite the cable-car station City Express and the ski school. Pension Herzog is a larger yet simple **Pension just outside the central pedestrian zone of Zell am See, directly on the lake. Nice and clean and good value for money. Self catering 4 ( and 6 / 7 ) sleeper apartments in the centre of Schuettdorf, Zell am See, situated 5 walking minutes from Areitbahn ski lifts and nursery slopes - good location!